We had some knives coming out of the dishwasher with little brown rust stains on them. I tried a variety of methods to remove them, but nothing seemed to really work. Recently I found some advice online that called for pure lemon juice. So, I started searching for the internet’s best lemon juice, but the solution ended up being much more down to earth. 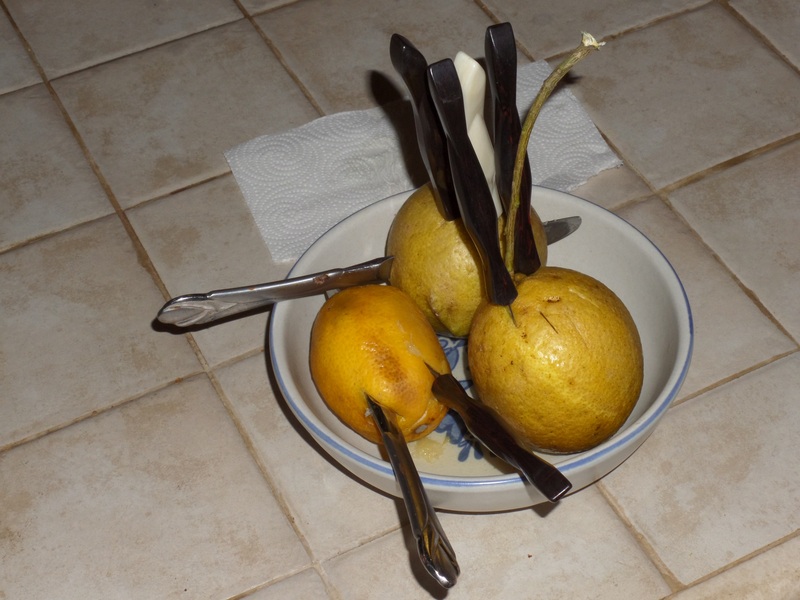 We have some lemon trees, and as it turns out, jabbing a knife into a lemon is a lot easier than applying liquid solvents or filling up cups to the brim with commercial lemon products. And when you’re done with the blade… yes, you can simply flip it around and clean the handle. The results? UNBELIEVABLE. I was truly shocked! 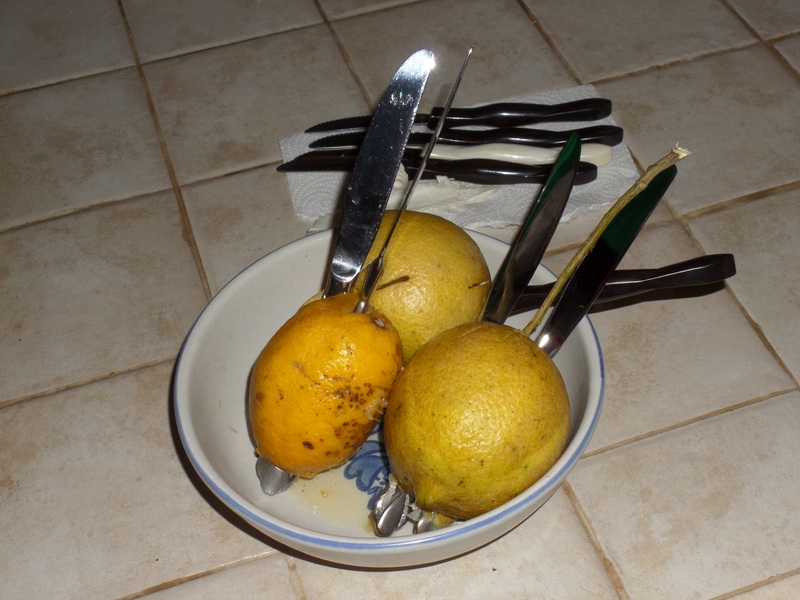 Lemons somehow solve this problem perfectly. The stains get obliterated. All of them. They all come right off.